I know there hasn’t been any updates lately since the announcement of the release date, but I assure that there is a lot going on behind the scene and many late late nights (check out this update’s posting time… and this is a weeknight 😮 ). 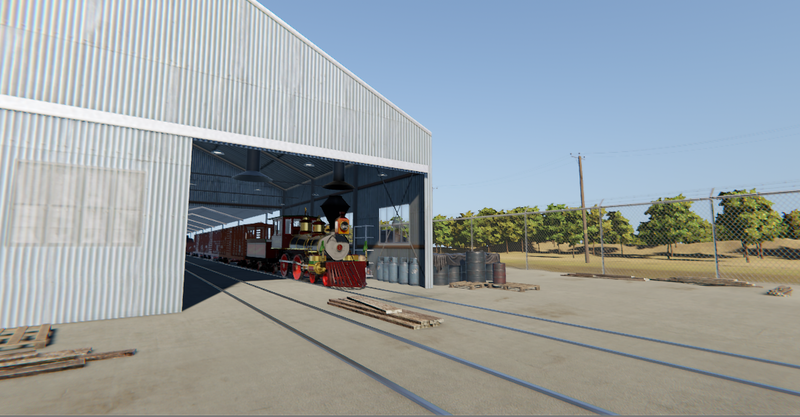 Speaking of behind the scene, here’s a really really quick look at where the engines live behind the scene at the real and original park: the original 1955 roundhouse. It’s really not much more than a light-frame metal shed. 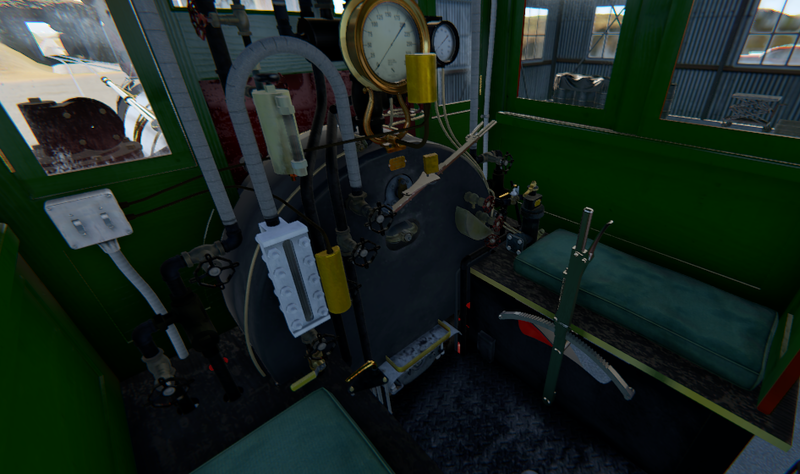 In the simulator, the roundhouse will be “furnished” with various pieces of equipment scattered about, giving it a “live in” feeling. Note also that there are only two tracks… because there were only two trains! I love this picture of the engine waiting in the roundhouse shed, slightly basking in the late morning sun. It looks so peaceful with the back drop of orange grove behind. But this peaceful engine will soon be roaring with fire and steam, all ready for us to take her out. And also in 1955, DL was very much still a construction site. So, expect to see construction materials scattered through out, too.